Charlie Daniels will be staging a live performance show at The Mansion Theatre on November 3, 2017 at 8 pm. As one of the most anticipated Branson shows, Charlie Daniels Live will entertain you a night of country and southern rock music. Famous for his hit song ‘The Devil Went Down to Georgia’, this American musician has been a Grand Ole Opry performer. This talented musician began writing and singing in the early 1950s. Charlie has also played with multiple famous musicians, including co-writing ‘It Hurts Me,’ with Elvis Presley, recording electric bass on three of Bob Dylan’s albums, and has recorded multiple albums. Now, it’s your chance to see the band and Charlie himself in Branson for a limited engagement only. Listen to all the songs and music that you love in this amazing concert of Charlie Daniels. See him play some of his top hits including Long Haired Country Boy and more. During his more than five decades career in music, Charlie has scored hits on rock, country, pop and Christian charts. His voluntary support to American troops and down-to-earth philosophy have built his reputation as a true American patriot and Christian. Charlie Daniels and his band will deliver a custom-made music on this unique Branson show. Performing hit songs that span the genres of country, rock, bluegrass, gospel, the blues, their familiar sound is always a welcome presence in this live entertainment capital. Charlie’s hit song, The Devil Went Down to Georgia, has hit the top of the country chart and placed in the top five on the pop chart of Billboard. This favorite song has also scored the band a Grammy Award for Best Performance by a Group or Duo, as well as a Single of the Year Award given by the Country Music Association. The “Charlie Daniels Band” have made several other hit records, including Simple Man, Drinkin’ My Baby Goodbye, Boogie Woogie Fiddle Country Blues, South’s Gonna Do It, and The Legend of Wooly Swamp. In addition to their two Grammy’s, Charlie Daniels band has captured the attention of just about every music award organization such as the Academy of Country Music, the Country Music Association, and the Gospel Music Association and more have honored the country and rock singers with awards. For some country artists, the epitome of being honored for their work in music is being a member of the Grand Ole Opry. Charlie Daniels was surprised when the incomparable Martina McBride delivered a song during his annual Christmas for Kids benefit. Charlie Daniels has also hosted The Charlie Daniels Celebrity Golf Classic and Angelus Concert in Florida which give benefits to The Angelus, a full-time residential facility and day school program for severely handicapped. 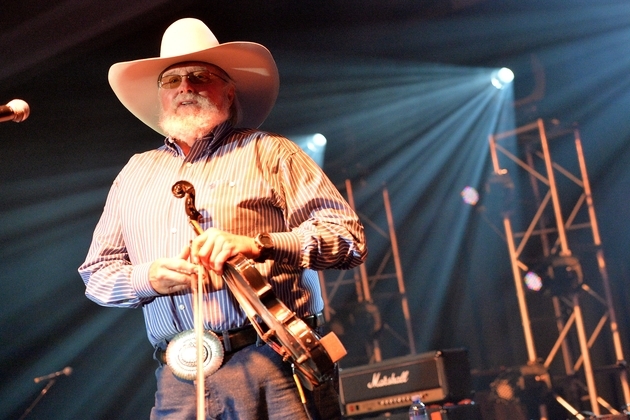 Charlie Daniels’ commitment in giving back shows that he puts his money where his heart is. As one of the most anticipated Branson shows this fall, Charlie Daniels Live at The Mansion Theatre offers a night of country and southern rock music to audiences of all ages.